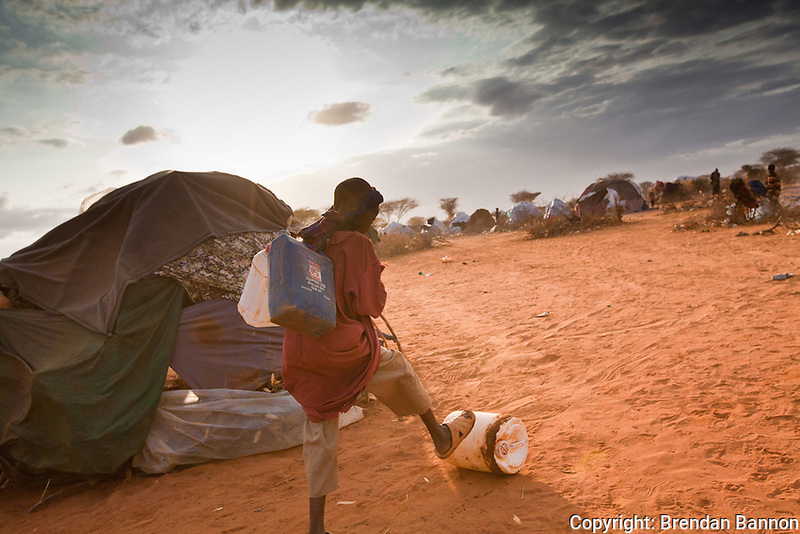 A Somali girl collecting water for her family in the desert at the edge of Ifo camp near Dadaab, Kenya. These settlements are unlit and lacking security. The duty of fetching water falls to girls culturally and they are at risk of being attacked and raped. 1300 refugees are arriving every day from Somalia where they have fled drought and civil war.